A beautiful way to ask "Will You Be My Bridesmaid?" 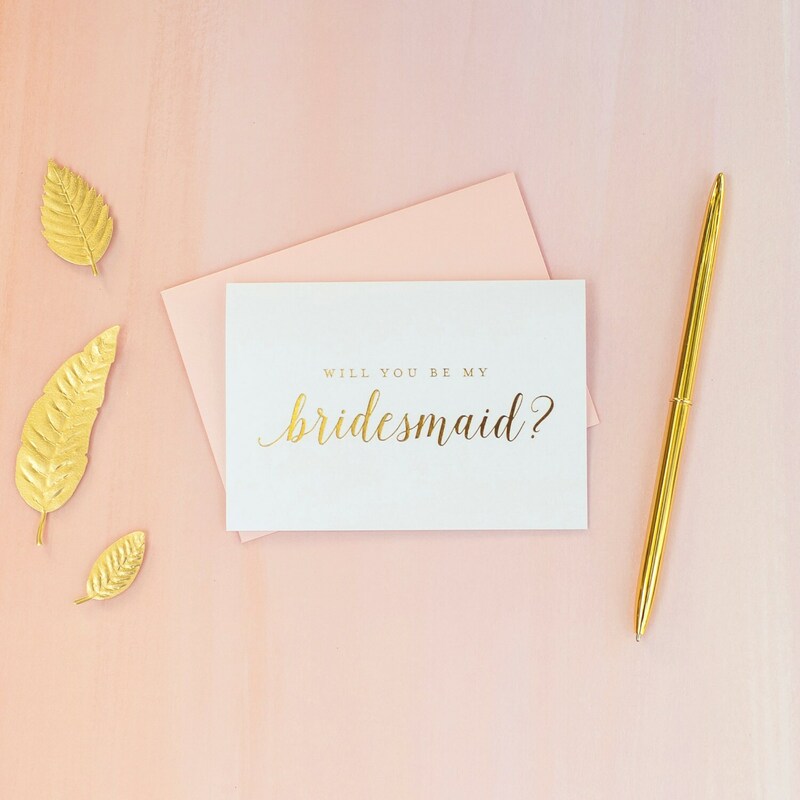 in classic gold foil on this dainty, elegant folded notecard. 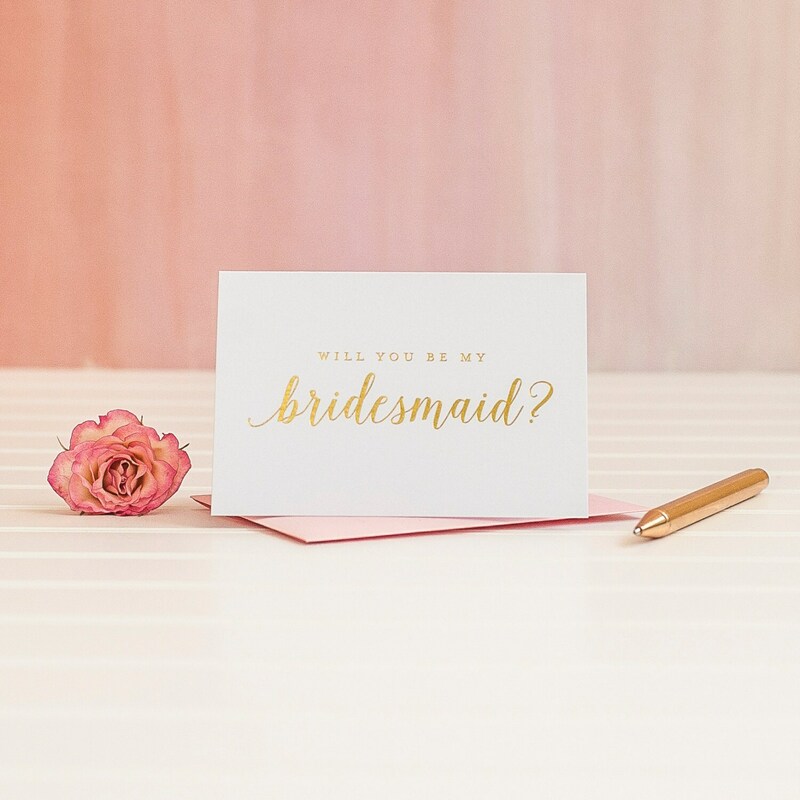 Authentically stamped with real gold foil, these bridesmaid invitations are a great for a proposal box or gift. 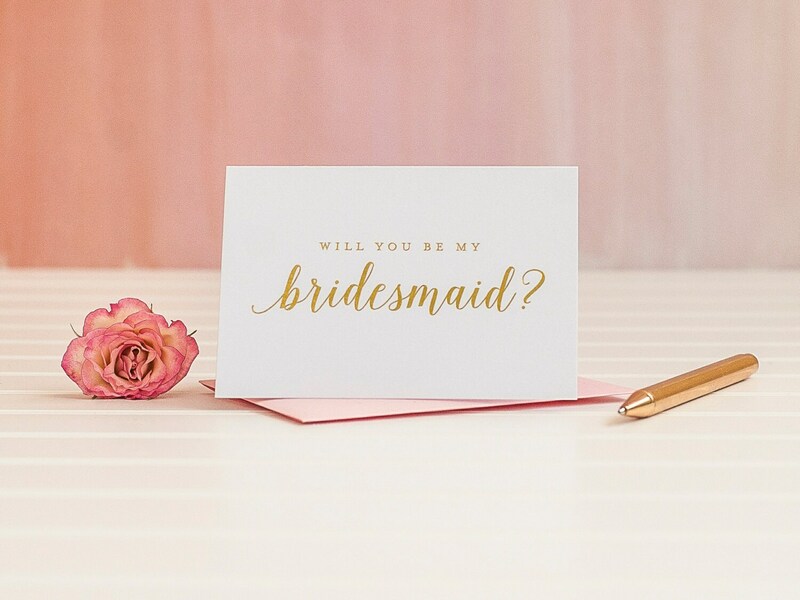 This classic design is pressed on to white pearl heavyweight cardstock with a plate press process - meaning no flaking and a beautifully 3-D imprint that you can touch and feel. 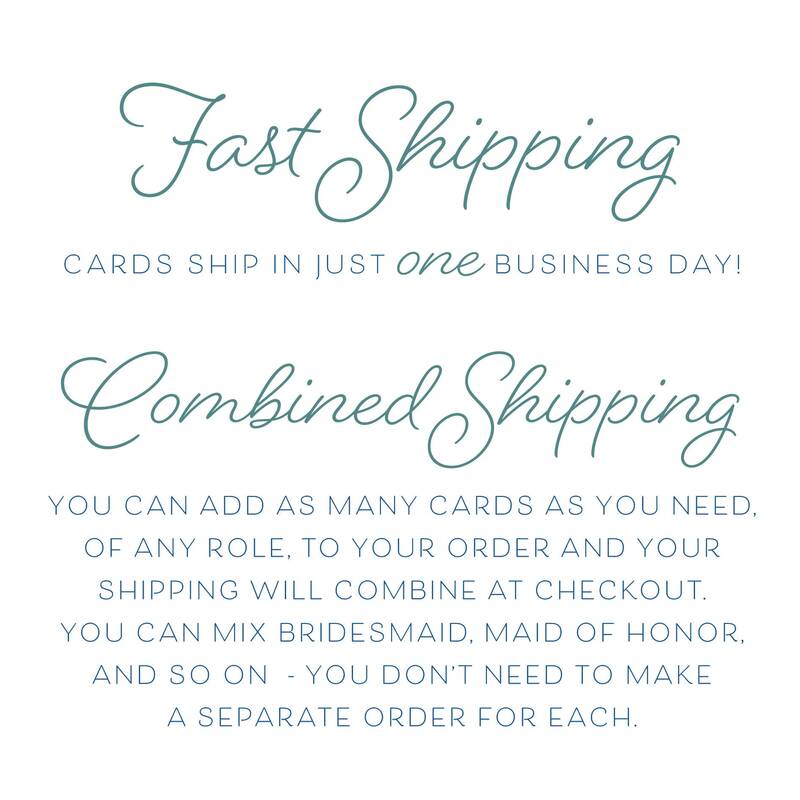 Available in bridesmaid, maid of honor, and matron of honor, one for each of your attendants!